This Showcase is great as a Restaurant Check Out Counter or Reception Station for your Salon or Auto Shop. 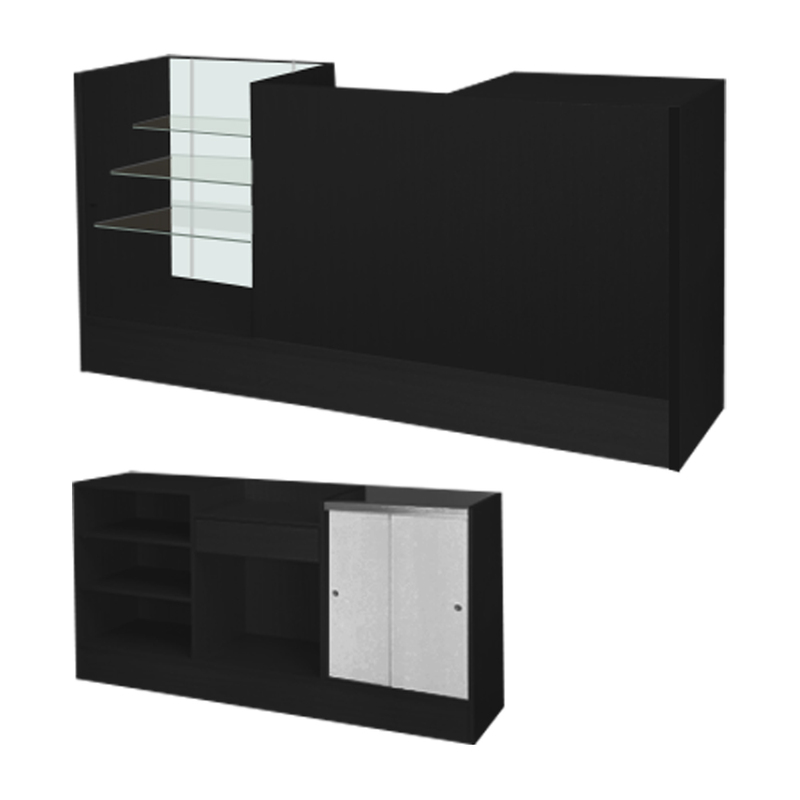 The All in One Counter system is a complete unit including a glass front showcase, service counter and register stand. Showcase features a 3/16 thick adjustable glass shelf. Service counter is 24 in. W with 2 adjustable wood shelves. Register stand is 24 in.W and includes drawer. Bright white sliding wood doors. Assembly is simple and takes approximately 2 hours or we can assemble for you for an additional $75.00 per unit. Custom colors available, please call for quote.